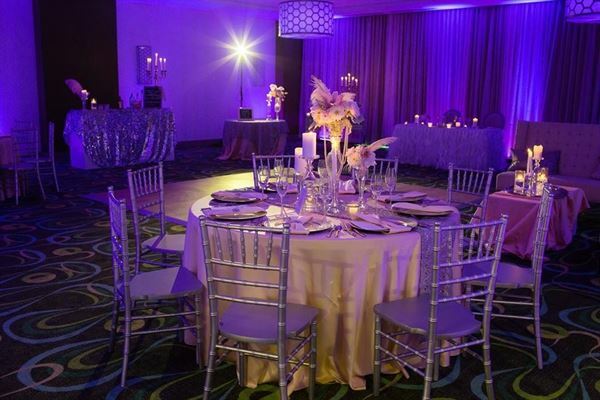 With dazzling views and a dynamic team focused on your every need, the Holiday Inn Resort Fort Walton Beach is the best event venue on the coast for your meeting and event needs. As the newest hotel in the area, our meeting rooms have a fresh, contemporary look and feel you won’t find anywhere else. Each of our meeting rooms comes equipped with all of the technological enhancements you’ve come to expect out of a world-class meeting venue and can be presented in a variety of configurations based on your needs. Our spectacular beachfront ballroom overlooks the Gulf of Mexico, with floor-to-ceiling windows and direct access to the pool deck and beach. Just let us know how you want the room set up – from banquet style to classroom, meeting room, theater, crescent, boardroom or U-shape. Want to feel more of the breeze? You can also host your event or meeting in our beautiful outdoor space which has been designed to be as functional as any of our indoor spaces while meeting the unique needs that come with your outdoor events. Ballroom can be used as 1 big room or sectioned off into 2 smaller rooms (Eagle and Osprey Room). Eagle Room is approximately 1600 square feet and Osprey Room is approximately 800 square feet.